tournament with lances, swords, and vocal chords. Directed by Peter H. Thorkelson. Executive Producers: Robert Rafelson & Bert Schneider. Associate Producer: Gerald S. Shepard. �Star Collector� Written by Gerry Goffin & Carole King; Produced by Chip Douglas. The Monkees are rehearsing a new tune as someone knocks on the door. David answers it and is greeted by Mr. Friar, an innkeeper of The Kibee Estate back in England where David was a stable boy. He informs David that he has to immediately return to England for the reading of the will of the recently deceased Young Lord Malcolm Kibee since David may have been willed the Kibee Estate. When David keeps refusing, Mr. Friar, who has a habit of fainting, repeatedly faints until David acquiesces. Soon David and Friar fly to England first class, while Micky, Michael and Peter, lacking air fare, are smuggled in mummycases. At English customs, David shows the customs man the three mummy cases with the guys disguised as mummies and recognizes the customs man as Jack Williams, The Monkees TV show’s property man, to which the latter replies, "Look, sweetie, I may be Jack Williams The Property Man to you, but to 20 million teenagers, I'm The Customs Man." Then, with a surprisingly convincing impression of Dean Martin, Jack belts out a fine rendition of his closing theme, "Ev'rybody Wants Somebody Sometime," which has him mobbed by a screaming Micky! David and Mr. Friar depart for the estate, leaving behind the mummy cases, where they're greeted by the nearsighted old butler who mistakenly shakes hands with a twig and mistakes Mr. Friar as David’s dog. Once inside, David and Mr. Friar are greeted by Young Lord Kibee’s nephew, Lance Kibee The Sot, a chronic drunkard who indulges in martinis and Sir Twiggly Toppin Middle Bottom, the executor of the will. The will leaves Kibee Manor to David on condition he lives there for 5 years; if he doesn’t, the villagers must buy it for £50,000 otherwise Lance Kibee will inherit the estate with plans to sell it to a land developer. Then David’s luggage, the three mummy cases arrive; after letting his mates out, The Monkees are then introduced, by Mr. Friar, to his daughter, Mary, who sees the foursome as "a sister act!". In the car, Twiggly encourages Lance to sell the estate since he envisions a huge commission on the sale as the young inebriated aristocrat continues serving himself liquor hidden in unusual contrivances in the car including inside the wheel horn and in the radio. 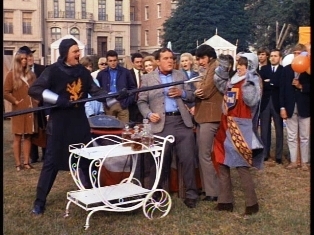 Meanwhile, the nearsighted butler mistakenly grabs the arm of armor and tells everyone to follow him and soon they all do so, literally in a Three Stooges-type style. Up in their room, Michael, David, Micky and Peter are bored to the teeth, and when they question Mary Friar what the young people do in town, she reports that moving to the big city and finding lawn moles in the form of dragons furnish all the excitement. Then Twiggly presents the contract (which, like the will, stipulates they must remain for 5 years!) and tries persuading David to leave the estate to the villagers if he’s bored there, but Mary reminds him that the villagers don’t have the amount of money to buy the estate and they will lose their homes, prompting Mr. Friar to faint once again at the doorway. Later, the guys try to devise a plan or be stuck there for 5 years, but want to leave with a clear conscience. Since they can't simply talk Lance Kibee out of selling the estate, they decide to hold a medieval fair to raise the proper funds on financing the manor’s safety. At the ensuing Ye Olde Fair, they only raise £200 at first, but Mr. Friar is sure they’ll win the rest betting on the winner in a grand tournament of 2 out of 3 contests: jousting, dueling, and mace and chain. Since David is the lord to the manor, and the one on whom the fate of Kibbee Manor lies, he is the one of the main contestants in the tournament (Twiggly being the other); told this fact, he faints dead away. Mr. Friar confronts Twiggly about making a wager on the championship and he agrees claiming to be an expert jousting champion, to which Mr. Friar once again faints while the near-sighted butler mistakes one of Twiggly's female companions as Twiggly. At the first contest, Twiggly who is the opponent grabs 2 lances and gives David, who is dressed in a knight’s suit, a choice of weapons for the jousting match, and David chooses the drunken Lance Kibee! As Twiggy starts poking Lance with the weapons, he commands him to stop or lose his commission if he’s killed, and so David is declared the winner by a pun. But in the next contest which is a fencing duel, David wears a boxer's outfit and boxing gloves, and loses the match prompting booing and hissing from the angry crowd. As Sir Twiggly challenges David to a third duel with mace and chain, a very Old Man, who is the butler’s father intervenes and declares the choice of the contests relies upon the people present at the fair. The crowd then decides on a singing contest instead. 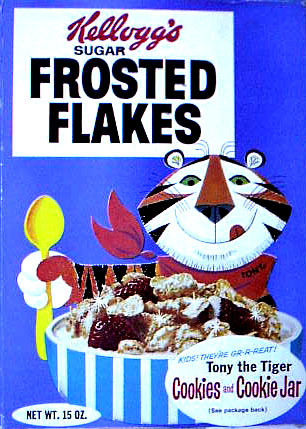 A totally revised Kellogg’s™ sponsor billboard sequence, featuring the guys clutching revamped packages of popular Kellogg’s™ cereals (Corn Flakes, Rice Krispies, Rasin Bran and Sugar Frosted Flakes, the same ones they did last season), makes its bow after the opening titles of “The Monkees Mind Their Manor”. 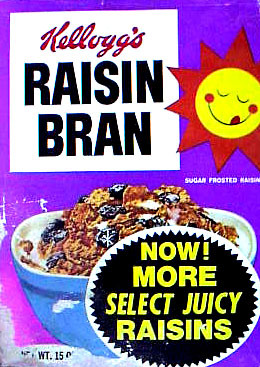 This new billboard was unfortunately short-lived, as, due to Kellogg’s™ dropping sponsorship, it lasted no further than May 1968. Though The Monkees visited Great Britain several times in 1967, the interior and exterior shots of “The Monkees Mind Their Manor” were all made on the Columbia Pictures lot instead of on location in England. The villagers had to buy the manor for £180,000 from Lance Kibbee. The villagers choose a "Hey Nonny Nonny" contest for the third and deciding one. That little white coupe Sir Twiggly and Lance are seen tooling around in (and seemingly full of liquor!) is an actual MGB Coupe Roadster which belonged to The Monkees production assistant Marilyn Schlossberg. The 35mm film interpositive featuring these scenes was inversed so that the MGB's steering wheel would be on the left instead of the right, to make it look more "British." The beginning of “The Monkees Mind Their Manor”'s teaser sequence finds The Monkees attempting (and then quitting!) to rehearse a brief ditty entitled "Iranian Tango." This tune, along with “Greensleeves,” would see release on numerous bootleg LPs, including 1979's Monkeeshines (Zilch #MDPM-101). "Valleri" b/w "Tapioca Tundra" is released on March 2, 1968 as The Monkees' 6th single (Colgems #1019), in the weekend following “The Monkees Mind Their Manor”'s first-run airing. 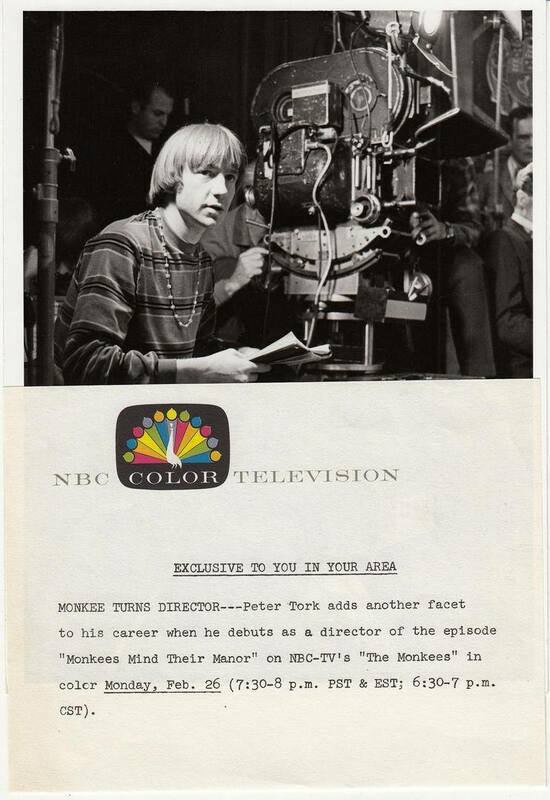 Peter H. Thorkelson, director of “The Monkees Mind Their Manor,” is best known to one and all as Peter Tork. The orange/red/yellow-striped shirt he's seen wearing is the same one he wore in the teasder of Episode No. 31, “The Monkees At The Movies”. This is the first of two Monkee-directed Monkees episodes this season; the second, of course, was No. 58, the Micky Dolenz-helmed "Mijacogeo" (a.k.a. "The Frodis Caper"), the series finale. Before being interrupted by Peter in the tag sequence for “The Monkees Mind Their Manor,” Michael had this to say to audiences: "Oh! Hello there! Well, that wraps up another half-hour of hilarious situation comedy of The Fantastic Four: Daby, Peekel, Micky and Perkal, Mycontchek...[clears throat] us! And we'll be back next week with more riotous fun laughters and hilarious bits of antics and humor!" 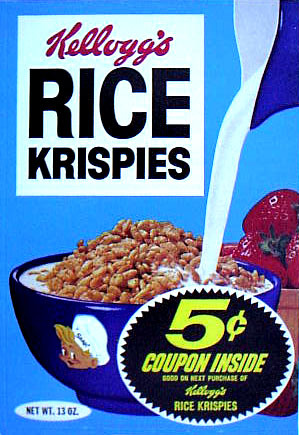 ...this was excluded for tight airtime space on MTV. Also deleted from the 1986 Colex syndicated print of “The Monkees Mind Their Manor” is a brief scene from Act III after Michael decides to have a medieval fair, which finds Micky raising his head from his right hand (which is gloved!) to gripe, “A medieval fair?! That's---!” Rhino has reinstated both scenes of this episode for its release on their Deluxe Limited Edition Box Set and the select release video. Jack Good (Lance Kibbee) joined ranks with The Monkees again in October 1968 in co-writing and directing their TV special (and bittersweet swansong appearance as a quartet), 33 1/3 Revolutions Per Monkee (NBC, 4/14/69). Good previously worked on Shindig (ABC, 1964-66) and the first teenage all-music show on British TV, Oh Boy! (ITV, 1958-59). A week after this episode's telecast, Good would appear with Noam Pitlik ("Everywhere A Sheik Sheik", "Hitting The High Seas") in the March 5, 1968 episode of The Andy Griffith Show (CBS, 1960-68), "Goober Goes To An Auto Show." 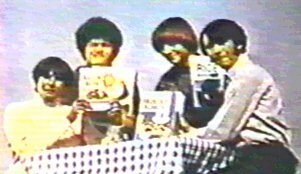 Trivia Footnote: “The Monkees Mind Their Manor,” interestingly, first aired on the 40th birthday of Fats Domino, soon to be one of the featured performers on 33 1/3. CBS and ABC shined on airing “The Monkees Mind Their Manor” on their Saturday Afternoon schedules, because Lance Kibbe's rather un-"kid-friendly" penchant for tippling (alcoholism!) struck a sour note with their Broadcast Standards and Practices folks; the same case with Episode No. 10, “Here Come The Monkees” (Original Pilot Film). In the scene where The Butler (Reginald Dallimore) decides that the last contest is a singing one, Sir Twiggly (Bernard Fox) is wearing his fencing gear. Yet in the scene immediately after, as Twiggly confers with Lance Kibbee about his lack of ability to sing, he is wearing his black knight gear (from the lance scene) again! For the second time a Monkee is left in the will of an eccentric millionaire; the first is in Episode No. 2, “Monkee See, Monkee Die”. Monkee stand-ins Ric Klein, David Price and David Pearl cameo as luggage carriers; Klein and Pearl can also be seen as spectators in the medieval fair along with Bruce Barbour (Michael Nesmith's brother-in-law, who replaced John London as his stand-in who left to join The Lewis & Clarke Expedition). According to Sir Twiggly, the medieval fair started in 1500---which, at the time of this episode's airdate, it had been a tradition for exactly 468 years, 2 months, 26 days, 19 hours and 30 minutes. In the dueling sequence, David dons the very same boxing gloves, trunks, shoes, and, yes, "Dynamite Davy Jones" robe he did in Episode No. 20, "The Monkees In The Ring." Following David's crushing defeat at dueling, and as the audience boos and hisses the winner, Sir Twiggly, Lance Kibbee shouts "Booze! ", an obvious reference to a scene from Episode No. 33, "It's A Nice Place To Visit..." (a.k.a. "The Monkees In Mexico"), in which "El Torko" Peter recites the same line. In their guises as mummies, Micky, Peter and Michael take on monikers which are the same as their Zodiac signs - Pisces, Aquarius, and Capricorn, respectively - thus referring to The Monkees’ fourth album, Pisces, Aquarius, Capricorn & Jones, Ltd.. The clip of a hot air balloon used in this episode is from the 1956 United Artists movie Around The World In 80 Days. Number of times Mr. Friar faints in this episode: 5. Told by Lance Kibbee (Jack Good) to either sing at the contest or lose his commission, Sir Twiggly (Benard Fox) performs a brief, off-key rendition of "Where The Blue Of The Night (Meets The Gold Of The Day)," a tune which was composed by Roy Turk, Bing Crosby and Fred E. Ahlert in 1931, and by year's end was adopted as Bing Crosby's nominal theme. Bing recorded it 3 times for commercial release: first for Brunswick on November 23, 1931, accompanied by Bennie Krueger and his Orchestra; next for Decca on July 20, 1940, accompanied by the Paradise Island Trio; and again for Decca on July 17, 1945, accompanied by the John Scott Trotter Orchestra. For the second time on The Monkees a central character is referred to as "a jellyfish". 52 episodes ago, in No. 3, “Monkee Versus Machine”, Daggert (Stan Freberg) called J.B. Guggins Jr. (Severn Darden) "an indecisive jellyfish." After Sir Twiggly bums out in the troubadoring contest, take note of a certain subtitled graphic: "IN THE STICKS CALL HAYSEED 7-4000</FONT FACE>". ”Hayseed 7-4000” is actually manual telephone switching, which many small towns and rural areas used until about the late 1960’s (”Hayseed 7-4000” was also the telephone switching in Episode No. 28, “The Monkees On The Line”); ”In The Sticks” is a slang term for a rural country area. This is the second time The Monkees are seen actually playing their own instruments in their pad, following Episode No. 15, “Too Many Girls” (a.k.a. "Davy And Fern"). Check out David's tan Nehru shirt. He was seen wearing it 10 episodes ago, in No. 45, "The Monkees In Texas", and in No. 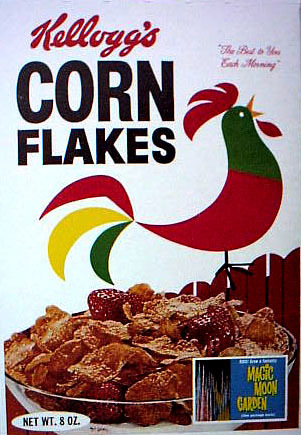 47, "The Monkees Christmas Show", and he also wore it in the second-season Kellogg's sponsor billboard for The Monkees TV show. The car in which Sir Twiggly and Lance are seen about to depart Kibbee Manor is an MGB Coupe Roadster (owned by production assistant Marilyn Schlossberg). The frame of the scene was flipped during editing to make Lance appear to be a left-sided driver (what with it being England). David reveals to Mr. Friar he was a stable boy here, despite the fact that an earlier Monkees installment, "The Monkees In Texas", saw him tell Black Bart he wasn't one! Bernard Fox (Twiggly) is best known for his recurring portrayal of Dr. Bombay on Bewitched (ABC, 1964-72). Interestingly, 2 other members of this episode's guest cast were previously seen in a couple of episodes of the series: the late Myra DeGroot (Mary) appeared with Monkee guest actor Henry Beckman ("The Picture Frame" [a.k.a. "The Bank Robbery"], "The Monkee's Paw") in the April 6, 1967 episode "How To Fall In Business With All Kinds Of Help," and Laurie Main (Mr. Friar) guested with Monkee guest alum Jacques Aubuchon (“The Spy Who Came In From The Cool” ) and Peter Canon (“The Monkees In The Ring”, "The Devil And Peter Tork") in the November 23, 1967 episode "Samantha's Thanksgiving To Remember." The late Reginald Gardiner (Butler) is remembered for his portrayal of eccentric British characters in films like Born To Dance (MGM, 1936), The Flying Deuces (RKO, 1939), and one of his most famous work, The Man Who Came To Dinner (Warner Bros., 1940; it co-starred pre-Monkee guest Elisabeth Fraser ["The Picture Frame" (a.k.a. "The Bank Robbery")]). He even had a guest role on Batman (ABC, 1966-68) as Bernie Parks in the March 22-3, 1967 episode "Pop Goes The Joker/Flop Goes The Joker" (#9757), which also featured Monkee guest alumnus Owen McGiveney (“I've Got A Little Song Here”). Gardiner's guest shot on The Monkees turned out to be his final onscreen appearance; it aired on the eve of his 65th birthday. Laurie Main (Mr. Friar) would supercede the late Sebastian Cabot in narrating Winnie The Pooh cartoons and children's recordings for Disney, and even hosted Welcome To Pooh Corner for The Disney Channel between 1983 and 1995. Click on picture to view a larger size.